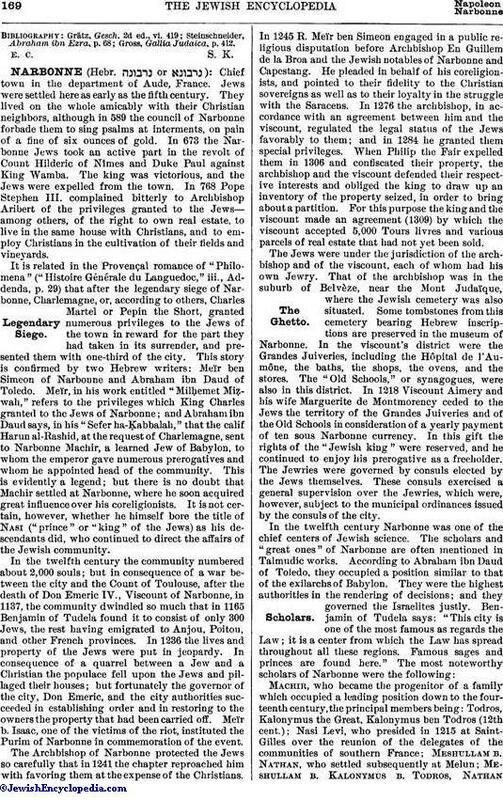 Rabbi; lived at Narbonne, France, in the first half of the twelfth century. He was probably the son of Joseph Gaon of Narbonne, who is mentioned by Abraham ben Nathan of Lunel in his "Sefer ha-Manhig" (p. 86). Narboni corresponded with Abraham ibn Ezra, to whom he addressed in 1139 three questions concerning chronology. 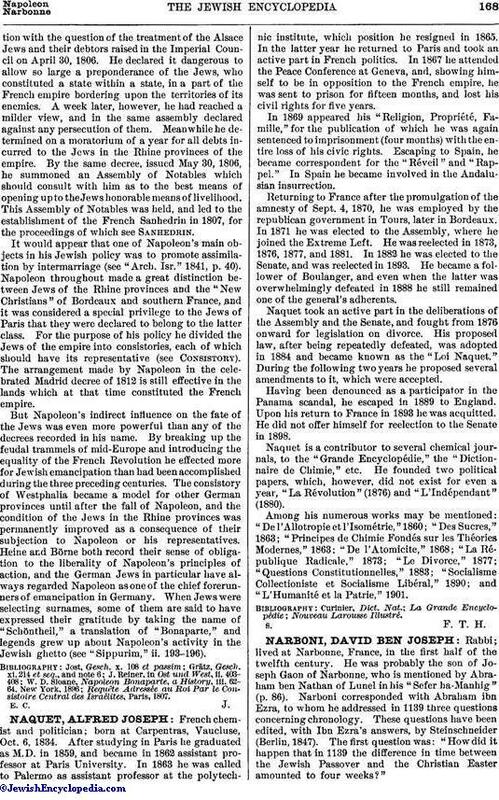 These questions have been edited, with Ibn Ezra's answers, by Steinschneider (Berlin, 1847). The first question was: "How did it happen that in 1139 the difference in time between the Jewish Passover and the Christian Easter amounted to four weeks?"